When looking for an oceanfront hotel in Dewey Beach DE or Rehoboth Beach Delaware, the Atlantic View Hotel in Dewey Beach is the best value! 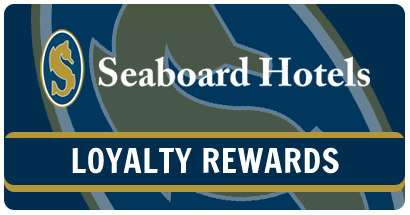 “Friendliness and Cleanliness” is the motto at our Delaware beach hotel and we deliver both at a great price with our affordable Dewey Beach hotel rates. Choosing our Delaware beachside resort accommodations in Dewey Beach will make your romantic weekend or family vacation on our Delaware beach enjoyable and memorable. Stay with us and see why first time guests have been becoming long term customers for over thirty-five years. Important Information for Staying at Atlantic View Hotel in Dewey Beach – Please Read!! There is a minimum length 2 night stay on weekends and 3 nights on holidays. A credit card in the person’s name renting the room is required. There must be a 21 year old in each room. Children between ages 9 – 17 are charged an additional $20.00. Additional guests over age of 18 are charged an additional $35.00. No elevator. Our rooms are accessible by stairs only. Decks on ground floor and 4th floor are shared common decks. No cribs or roll-aways available. One parking spot per room. Bike rack available. Bikes are not permitted in rooms. To guarantee your reservation, a deposit of one nights lodging is required. Checks are not accepted. VISA, MasterCard, American Express, Discover, Travelers Checks, and cash accepted. Reservations cancelled at least 8 days prior to arrival date are subject to a $30.00 cancellation fee. All other cancellations will result in the loss of deposit. Refunds are not given for inclement weather or early departures. Any changes to arrival or departure dates must be made at least 8 days prior to arrival date. If severe weather prevents us from providing our normal first quality lodging experience, then we will refund a customer’s funds on a prorated basis. These conditions would include a loss of electric power for an extended period of time (minimum 8 hours) or significant damage to the property. In all situations the decision of management is final.